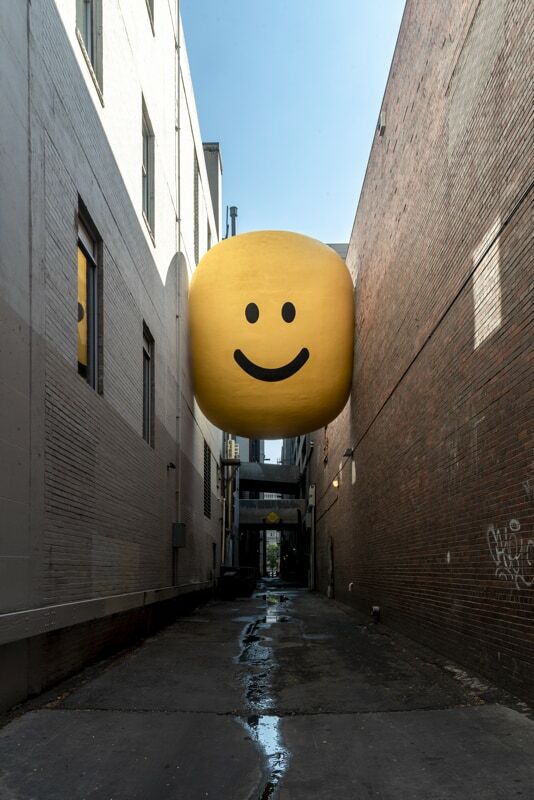 Stuart’s latest sculpture ‘I should be crying but I just can’t let it show’ has been installed in Denver on 16th Street between Champa and Stout. Expanded polystyrene foam, acrylic paint and steel. “It’s kind of about some sort of inner resolve, maybe there’s a place in us where happiness lives. perhaps this place isn’t actually effected by outside fluctuations. That part of us is more powerful than most people know. I’m hoping the piece will help people to connect to that and take some strength in it”.